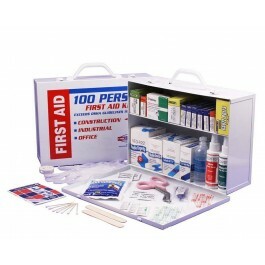 This kit contains 656 pieces in a white steel case that can be mounted on a wall for easy access. 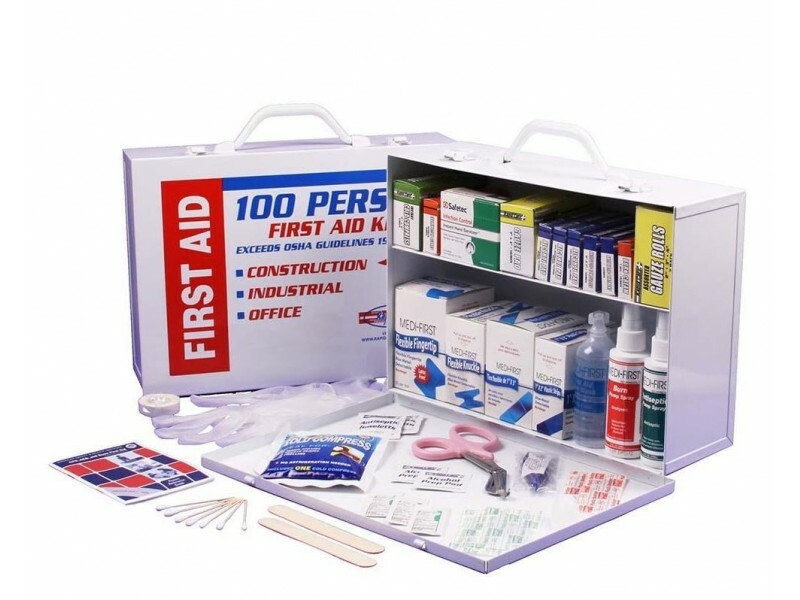 The 2 Shelf First Aid Cabinet contains 656 pieces that are packaged neatly into a white steel case. The case can be mounted on a wall for easy access. Perfect for any construction, industry or office. Great kit for being prepared an everyday emergency or natural disaster.